The FBI's No. 1 choice! Winchester® Defender was chosen by the FBI as their primary service round. It's engineered to maximize terminal ballistics, as defined by the demanding FBI test protocol, which simulates real-world threats. 20 rounds per box. Hard-hitting for law enforcement and defense! 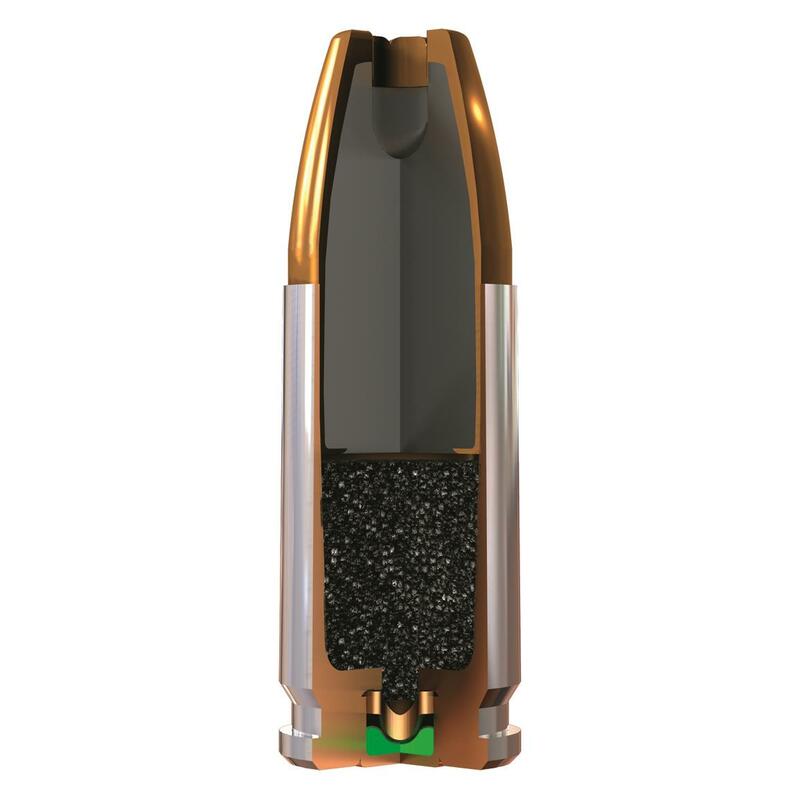 Winchester Defender ammunition was tested by the FBI to see if it can stand up to real world, life threatening situations, this ammunition has impressive expansion and notable velocities at various ranges thanks to Winchester's propietray bonding process. The engineers have welded together the lead core and copper jacket to obtain controlled expansion and a higher weight retention. The bonding can also take on the toughest barriers at varied ranges to simulate real world threat. Winchester Defender Handgun, .357 Sig, Bonded Jacketed Hollow Point, 125 Grain, 20 Rounds is rated 5.0 out of 5 by 6. Rated 5 out of 5 by WRR01 from Winchesters Best This is my EDC in my FS M&P. I trust my life with this fine ammo. It has been proven in ballistic testing to penetrate per FBI standards, and expands with a trace of those famous Winchester Talons. I highly recommend this ammo to "STOP THE THREAT!" Rated 5 out of 5 by Pancho from Iv'e been using this for years This has been my go to hollow point for years. I rotate my CCW ammo every 6 months since I live in a hot climate. I'll shoot the old ammo into gel blocks, wet phone books or on the range to test cycling and I'm never disappointed in its performance. Rated 5 out of 5 by Woody from Exactly what I was looking for I was looking for a personal defense round for my 45 and this fit the bill. The bullet upset is impressive. Rated 5 out of 5 by Hondo from Fast, good energy, great mushroom. = Stopped threat. Every facet of this round is top of the chart, for a self defense round. I carry the 357 Sig, because it is what the 9mm +P just quit isn't. That initial amount of " stopping energy ", which relates to shock to the threat. This round has it. From my Glock 32, a gallon water jug explodes. Rated 5 out of 5 by Phil from Very good price. 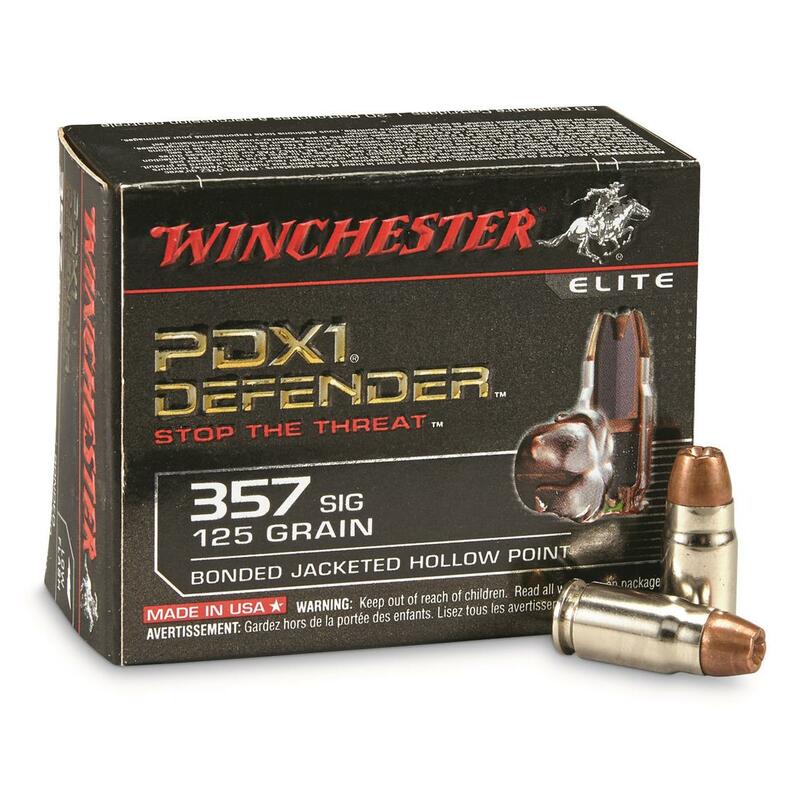 I use this ammo in my g32 and it shoots flawlessly and accurate. Rated 5 out of 5 by JEFF from # 1 as always, i wont trust my life to any other ammo. Ammo for when it matters most. Perfect balance of velocity, accuracy and recoil. PPU: always affordable, always excellent.